If your child suffers from congestive heart failure as a result of a congenital heart defect, the amount of sodium in the diet will probably need to be restricted. Too much sodium in the diet can put a strain on your child's heart, as excess sodium will cause your child to retain excess fluid. In order to cut down on sodium, it will take more than throwing out the salt shaker. Salt is found in many foods we eat, even if they don't taste salty. 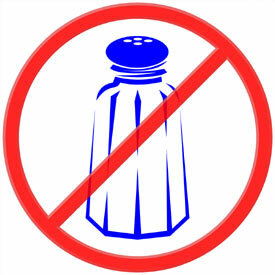 · Use no salt in cooking and add a little salt at the table, or use a little salt in cooking and no salt at the table. · Substitute herbs and spices, herbal mixtures like Mrs. Dash, for table salt to flavor foods. Remember that some spices, such as garlic salt, onion salt and MST (monosodium glutamate), are high in sodium. · You may consider using salt substitutes, but ONLY after discussing it with your child's doctor, as some salt substitutes contain potassium! · Offer your child more home-prepared meals instead of canned, frozen, and packaged meals.